Every home in Delaware and Dublin OH should be aware of moisture control. After all, heading off moisture in attic, basement, crawlspace and other areas of the home can prevent problems that require remediation, such as mold growth and water damage. If you already have damp, mold, or water damage in your attic, crawlspace, or basement, the time to call in a professional is now. According to the U.S. Department of Energy, moisture control can make your Dublin OH home more energy-efficient. Proper moisture control will help your home’s insulation, ventilation, and air sealing properties, making your living space energy efficient as well as more comfortable. Call a local moisture control professional today to see how you could be saving money with a more efficient, less moisture-vulnerable home. 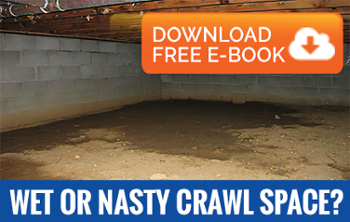 Moisture in crawl space, basement, and concrete slab areas is common. A qualified local contractor in the Dublin and Dublin areas can give you the best way to control moisture in the Ohio climate and for your specific type of home structure. As a tip, also make sure to maintain your home’s siding materials, flashing, weatherstripping, and exterior caulking around joints so your home is protected during heavy rain. Every Dublin and Delaware homeowner should periodically check for signs of excessive moisture in attic areas. Ice damming, or large puddles of water and ice that collect on the edges of the roof in winter, can be a sign of a poorly insulated and poorly ventilated attic. If you suspect you have a problem with moisture in your attic, call for professional remediation as soon as possible. Moisture in basement, crawlspace, and attic areas can be permanently solved by professional moisture control solutions. That is why AdvantaClean of Dublin offers residents basement waterproofing, crawl space encapsulation, mold removal, vapor barrier installation, air duct cleaning, and water restoration services locally.